Moisturize your lips with this kissably sweet and creamy scrub that will gently exfoliate and treat chapped dryness. Infused with a soothing and healing blend of organic Brazilian honey, organic pure cane sugar and Peppermint essential oil. Polish away dead skin and leave your lips ridiculously soft and supple! Massage a small amount onto the lips by using gentle circular motions. After scrubbing, wipe away excess scrub and pucker up! 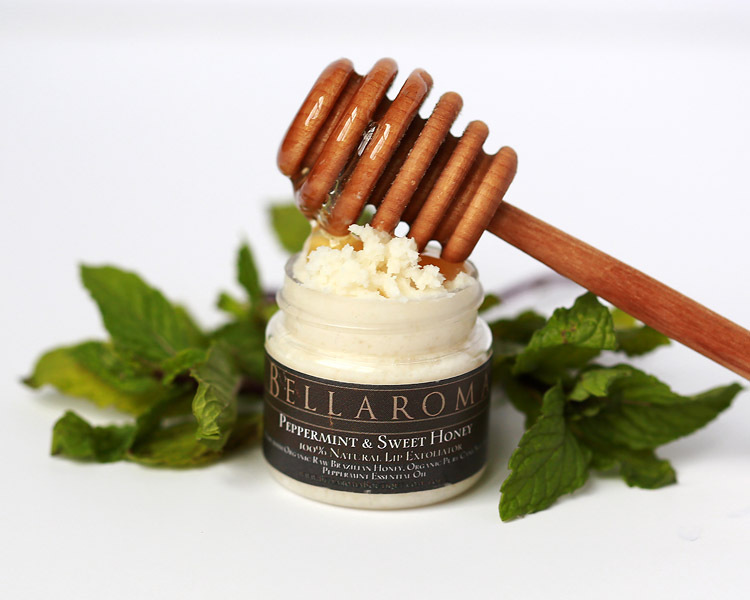 AS SEEN IN "AMERICAN SPA MAGAZINE"
TOP IT OFF BY USING OUR: "Potted Honey Lip Butter"or "Honey Eucalyptus Lip Butter"!